2100 Enhanced Wax-resin-enhanced wax offers superior abrasion resistance when compared to conventional wax products. The 2100 ribbon provides excellent print quality on normal and rotated barcodes. 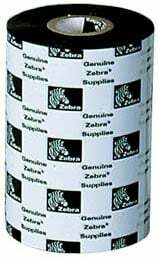 The Zebra 02100BK10645 is also known as ZEB-02100BK10645-C	.